Happy July, folks! This is officially vacation month for me and I couldn't be more excited. I'm also going to get to spend some time with a few blog friends (and meet lots of new ones!) next week in Atlanta. It's so crazy to me that it's already July! 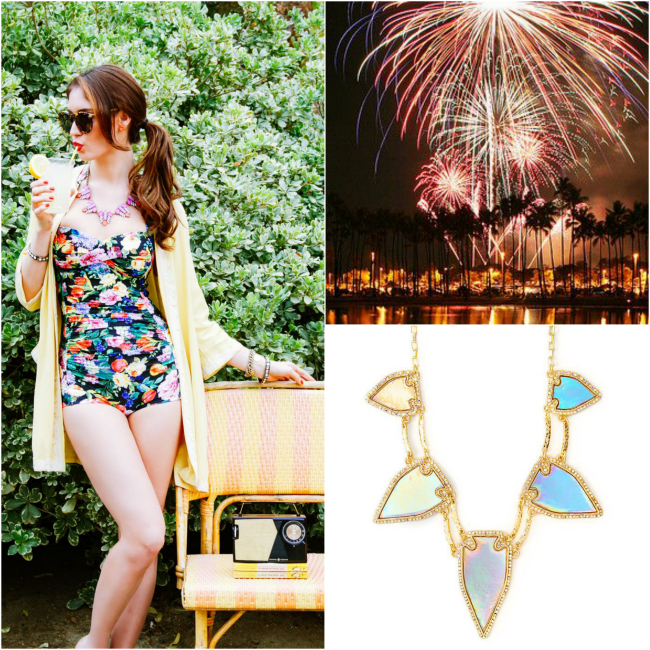 Everything about this month is sunshine and hot summer days! 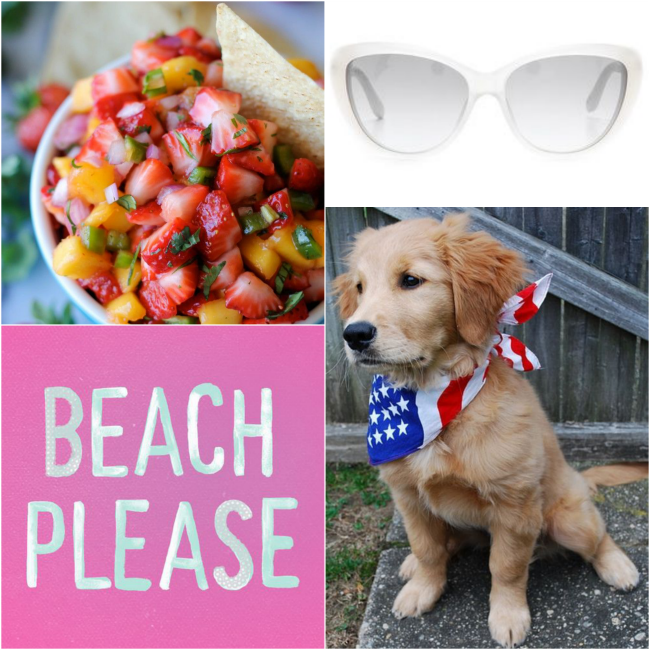 Above are few things I've spotted around the web lately that seem perfect for ringing in the first full month of summer and for celebrating America's birthday. Let's have fun, ok?! Aww I love that patriotic pup!! And the necklace is soo pretty.